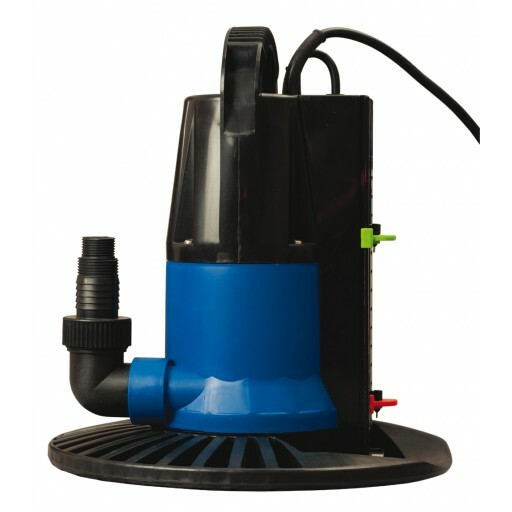 The Super Dredger is an AUTOMATIC swimming pool cover pump can pump water off of your pool cover down to 3/16in. This Manual cover pump will remove up to 2450 Gallons Per Hour from your winter cover. This powerful 1/3 HP cover pump will drain your cover quickly and only weighs 10 lbs. You can use it to pump water off your winter cover, pump water out of your basement, garages, spas, ponds and boats. The pump is fully submersible and clog-resistant. Features a NEW Start/Stop guage. You can adjust the height of the water to turn ON the pump and the lower level as to when the pump will shut off. Great for use on all winter covers including solid safety covers. Use it to pump off your winter cover, pump water out of your basement, or drain your boat. To give your Dredger cover pump more stability on solid winter covers it comes with a removeable pump guard low profile base.